For many people, single parent holidays can be daunting, and if you’ve sat alone on holiday, surrounded by traditional married families whilst the children played, you’ll understand why. Fortunately it doesn’t have to be like that! Our one parent holidays focus on fun and friendship alongside great destinations. All of our holidays and short breaks for single parents are in group settings, with ready made friends for the children but also like-minded company for the adults too. Our overseas holidays are all provided by My Holiday Tribe and are ATOL bonded, with protection from the Travel Trust. Read more about your financial protection. Stay in a lovely old Fort in a fabulous coast setting! Filling fast! A fab 4 star hotel with water slide, a holiday for all ages. Traditional yurts & tipis in woodland. Now with hot tub! A charming lodge resort with lots to do nearby. Something for everyone in this activity filled trip. The ‘Welsh Caribbean’, simply stunning!! Great scenery, clear sea & fab 4 star beach hotel. Fabulous, revamped 5-star hotel, great location. A stunning location, great hotel. Fabulous, revamped 5-star hotel, great location. 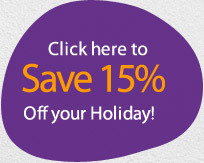 Book now, SAVE £75 PER PERSON! Lapland Holidays. Simply breathtaking! SAVE £150! A picturesque location for New Year, with lots to do. Skiing for all levels in a lovely, central, 5 star hotel.